What Is the CyberKnife M6? CyberKnife is a non-invasive alternative to surgery for cancer treatment. It is the most advanced technology for delivering radiation to tumors because it is able to track the natural movements of tumors that occur with breathing and body movements, and thus avoid sending radiation to healthy tissue or organs surrounding the tumor.This radiotherapy treatment allows for a pain-free process with a reduced risk of side effects. Patients complete the treatment in a series of one to five short appointments, so it will not take up their whole day nor constrict them to bed rest for recovery. CyberKnife is the only robotic radiotherapy platform that offers a non-invasive alternative to surgery. What Conditions Does the CyberKnife M6 Treat? We are pleased to offer CyberKnife for treatment of tumors throughout the body. CyberKnife can be used to treat both cancerous and noncancerous tumors in the head, spine, lung, prostate, liver, and pancreas. How Many Patients Have Been Treated Using CyberKnife? As of 2014, over 300,000 patients had been treated worldwide by CyberKnife and that number continues to grow as more CyberKnife treatment facilities open. How Does CyberKnife Radiotherapy Differ From Traditional Radiotherapy? While effective at killing dangerous cancer cells, traditional radiation therapy also damages the healthy cells and tissue surrounding the tumor. This occurs because traditional radiation therapy does not adapt to the natural movements of the tumor, and instead sends radiation in a wide field to make sure the tumor is completely covered.Radiation damage to healthy areas of the body can cause a number of undesirable side effects. CyberKnife was designed to reduce the risk of unnecessary side effects caused by radiation. It successfully lowers risks by only including the tumor in its radiation field and tracking the tumor’s movements with pinpoint precision and submillimeter accuracy. This non-invasive procedure allows patients to complete treatment within 1 to 5 days rather than the several weeks traditional radiotherapy requires. How Is The CyberKnife System Different Than Other Radiosurgery Systems? Tumors have been shown to move slightly during radiation treatment, despite a patient’s best efforts to stay motionless. CyberKnife works around this by adapting to the movements of the tumor with unprecedented accuracy. The advanced robotic technology of CyberKnife delivers radiation directly to the tumor, changing position to match the patient’s movements in real time, thus avoiding the areas surrounding the tumor.Conventional radiotherapy systems are limited in motion, restricting them from delivering radiation in the most precise possible angles. CyberKnife allows for radiation to be delivered from a wider variety of angles, making for precise and accurate radiation delivery to the tumor.CyberKnife adjusts in real time to the patient’s breathing, rendering conventional radiation techniques like the patient holding their breath or being strapped down unnecessary. CyberKnife also reduces healthy tissue damage by narrowing the field of radiation delivery to only the tumor, rather than overcompensating for any accidently missed parts of the tumor like conventional radiation treatments. CyberKnife’s ability to minimize healthy tissue damage is unparalleled. What Are Some Of The Main Factors Of The CyberKnife System That Patients Benefit From? Patients don’t have to hold their breath. Scanning – Prior to treatment, a patient will undergo imaging procedures to determine the size, shape and location of the tumor. The process begins with a standard high-resolution CT scan, or for certain tumors other imaging techniques, such as MRI, angiography or PET may also be used. Planning –CyberKnife’s treatment planning workstation identifies the exact size, shape and location of the tumor. Sophisticated software generates a treatment plan designed to provide the desired radiation dose to the tumor location while minimizing the impact on the surrounding healthy tissue. Treatment– As a patient lies comfortably on a treatment table, he or she is automatically positioned for treatment delivery. Anesthesia in not required, as the procedure is painless and non-invasive. The treatment generally lasts between 15 and 45 minutes and is completed in one to five visits. Follow-up – During the months following treatment, assessment of the tumor’s response to treatment is generally performed with a combination of CT, MRI and/or PET scanning, done in coordination with the referring physicians. Is the CyberKnife M6 FDA Approved? The CyberKnife System has been approved by the FDA for the treatment of head, neck, and upper spine tumors since 1999, and for tumors anywhere else in the body since 2001. Do Private Insurance Companies And Medicare Cover CyberKnife Treatments? Yes, CyberKnife treatments are covered by most private insurance companies and by Medicare. Our in-house authorization staff will determine insurance authorization prior to treatment. However, patients should consult with us concerning their treatment options and sometimes might be required to obtain prior authorization from their insurance provider once a treatment option is determined. Am I Still Eligible For CyberKnife Treatment If I Am Currently Undergoing Or Have Undergone Chemotherapy? Yes, CyberKnife treatment is an option for those who are receiving or who have undergone chemotherapy treatment. Patients should always provide their physicians with their complete medical history so that physicians can determine the most appropriate and best suited treatment for their case, whether that be the CyberKnife treatment or something else. 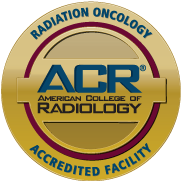 Am I Still Eligible For CyberKnife Treatment If I Am Currently Undergoing Or Have Undergone Radiation Or Proton Therapy? Yes, CyberKnife treatment is an option for those who have either had or who are currently getting radiation or proton therapy. Patients should always provide their physicians with their complete medical history so that physicians can determine the most appropriate and best suited treatment for their case, whether that be the CyberKnife treatment or something else. What Are The Side Effects Of Receiving The CyberKnife Treatment? Fortunately, CyberKnife treatment is known to produce minimal side effects and allow for little to no recovery time. However, some patients do experience mild fatigue or nausea depending on the treatment site of the tumor. Any possible side effects from the treatment will be discussed by the CyberKnife physician before treatment is administered. How Many Times Can A Patient Receive The CyberKnife Treatment? In most cases, patients can be re-treated with CyberKnife if necessary. How often the CyberKnife treatment can be administered is dependent upon the type and location of the tumor being treated. How does CyberKnife differ from proton therapy? Proton therapy is a form of radiation treatment that uses a beam of high energy charged particles, while CyberKnife uses a high energy x-ray beam. Because of the way that charged particles travel through the body, proton beams can be used to limit the amount of radiation delivered to healthy tissues of the body. However, the robotic treatment approach used by CyberKnife can also limit the radiation exposure to normal parts of the body, and for many treatment approaches, the overall radiation dose to health tissues is lower with CyberKnife. Additionally, there are no proton facilities in the Bay Area, and therefore proton therapy is not a realistic option for most patients in the East Bay.